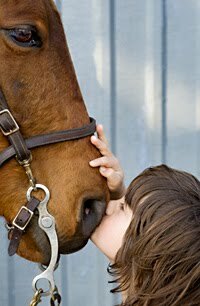 Having had my own child with autism enrolled in the Proud Equestrian Program for years, I am hoping to one day get a chance to read The Horse Boy: A Father's Quest to Heal his Son by Rupert Isaacson. Further, I am a bit envious of movie goers in Central Michigan who will have the opportunity to see the documentary, The Horse Boy, for free tomorrow night, May 12, at Celebration Cinema in Mt. Pleasant, MI, 7 p.m. The event is being co-hosted by the cinema, WCMU, and the Central Michigan Autism Group (the awesome group that I was the secretary of before moving to Washington). A panel discussion will follow the one-hour film and free information about autism will be passed out. The documentary was directed by a young filmmaker, Michel Orion Scott. Set in Mongolia, it is a travel adventure that provides insight into shamanic healing as well as a look into the autistic mind. The Isaacson's story was inspired by Rupert's experience with travel writing and their son Rowan's connection with horses. After trying several different treatments to help Rowan, his parents noticed that horse riding was the only thing that seemed to work. The Isaacsons realized that Rowan was calmer, expressed joy, and was able to give verbal directives while on horseback. This is perhaps one of the most creative methods of coping with autism that I ever have come across. In fact, Rupert Isaacson had such a creative idea that he had no trouble getting his story told (check out the link to this excellent NY Times article for information about Isaacson's proposal and its acceptance). I hope that there is a good turnout to see The Horse Boy in Mt. Pleasant. It seems to be a fascinating story and I'm sad that I won't be able to attend the event, which is the result of some of the fundraising activities I participated in for my group. That said, for those of you who live outside of Central Michigan, the book ($16.49 U.S.) and the documentary ($27.49 U.S.) are both available on Amazon. Of the book, Temple Grandin writes "This is a great book and everyone who is interested in autism, animals or different cultures should read it." Author's Note: I realize that some people may object to the notion of seeking out healing (Rupert Isaacson deliberately replaced healing with the word "cure" in his title.) However, as a blog author, I realize that people have different ways of coping with autism. I feel it is not up to me to judge what is the right and what is the wrong way coping because the method that people choose has to do with their circumstances, beliefs, and the individualized aspects that influenced those beliefs. So, some people accept their children with autism as they are. Some people seek out doctors and or various popular therapies such as Applied Behavioral Analysis. Some people (like me) embrace a mixture of therapy, experiences, and acceptance, and some people, like the Isaacsons, go on fascinating and extraordinary journeys. P.S. The Horse Boy is scheduled to air on CMU Public Television as part of the PBS series "Independent Lens" in May of 2010. This screening event is part of the ITVS (Independent Television Service) Community Cinema program. Free screenings of Independent Lens films are held at a variety of locations through June 2010. See here for more information about the film and/or the event being held tonight.